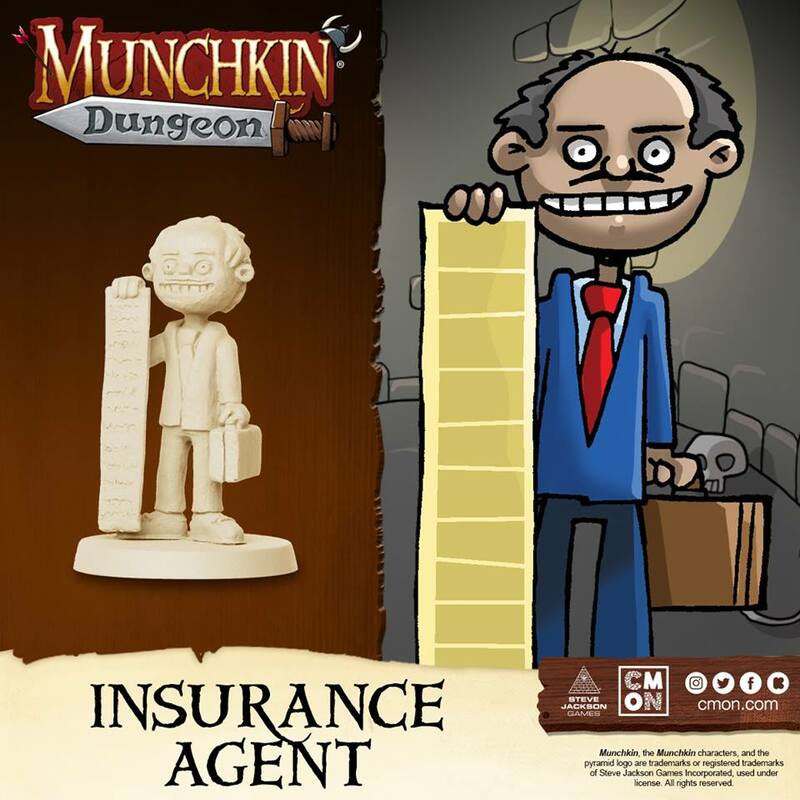 Für das kommende Munchkin Dungeon zeigen CoolMiniOrNot auf Facebook weitere Previews. The Dwarf is a little shorter than most, but sometimes Heroes come in small packages. 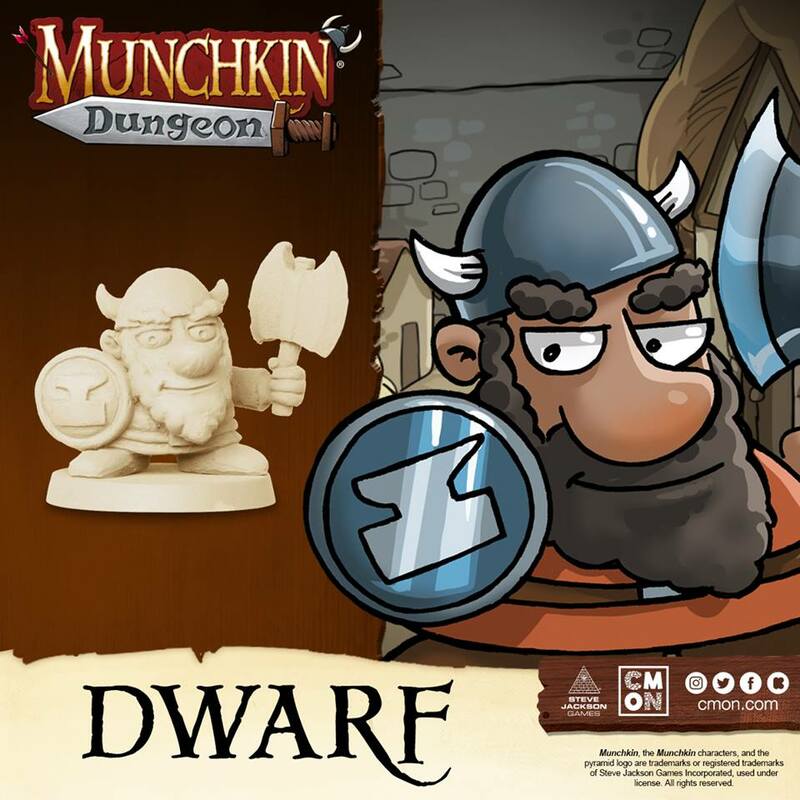 Munchkin Dungeon is coming to Kickstarter on January 29 at 3PM EST. The Heroes are going to want to have ear protection before they enter the Dungeon. 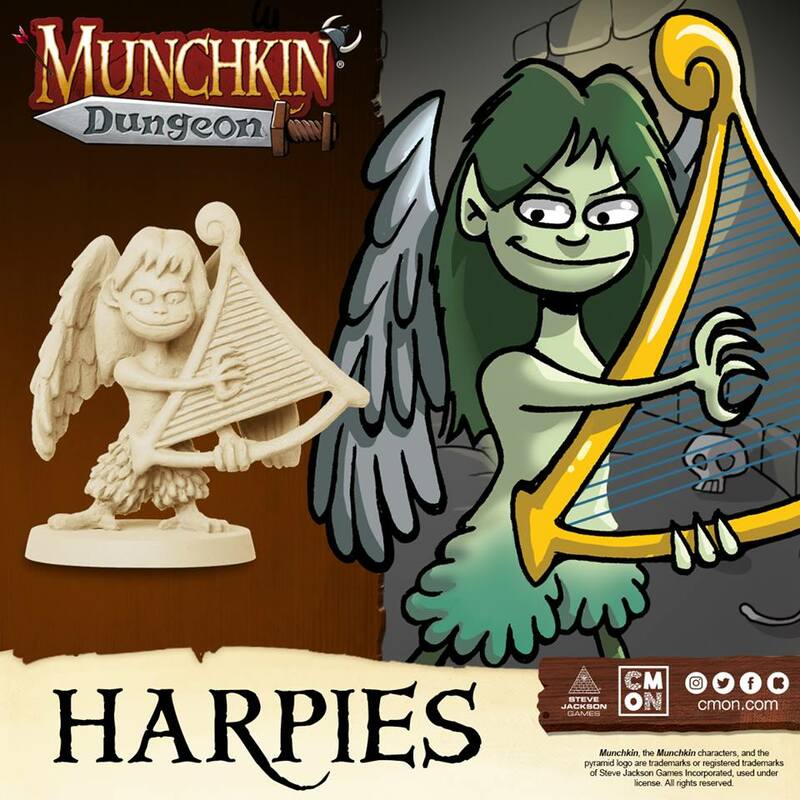 The Harpies may sound nice, but they make for a formidable foe! 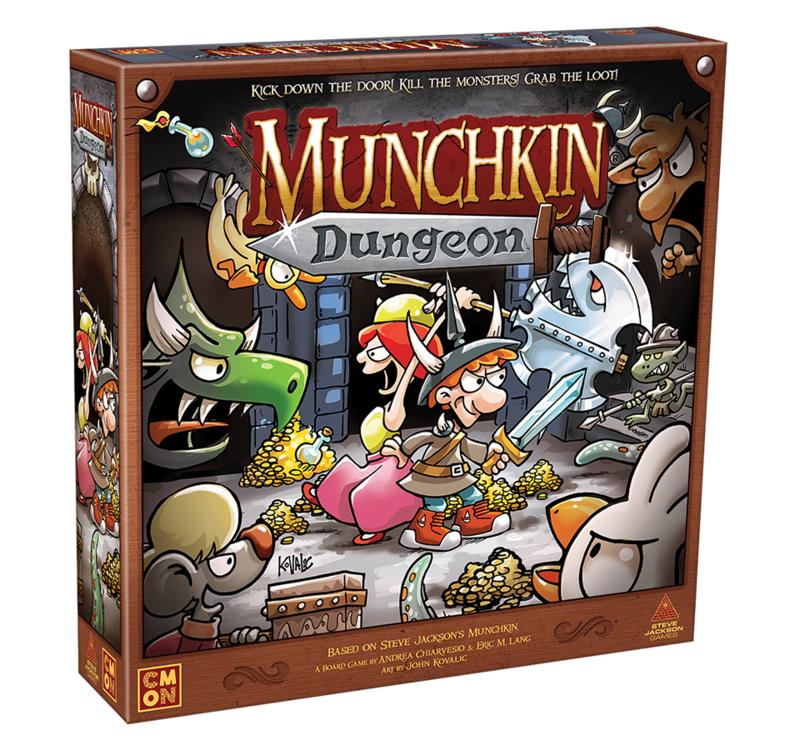 Munchkin Dungeon is coming to Kickstarter on January 29 at 3PM EST. The Heroes will have to keep their wits about them and even look to the skies if they want to be safe. 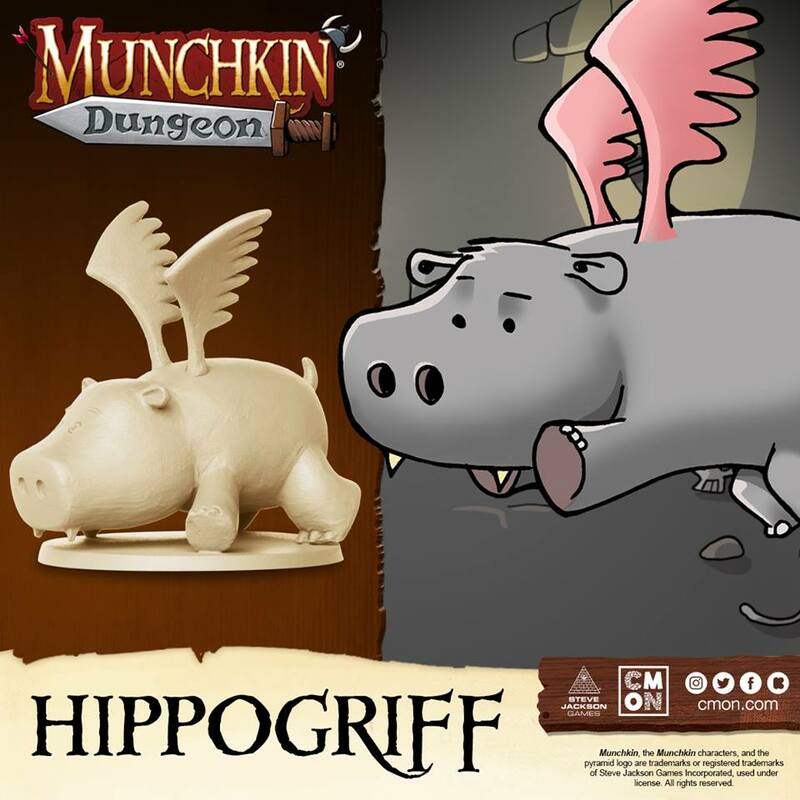 Despite their size, the Hippogriff can get airborne and cause some problems from above! Munchkin Dungeon is coming to Kickstarter on January 29 at 3PM EST. In a Dungeon, one of the most dangerous traps can be bureaucracy. The Insurance Agent will tie up Heroes signing here and initialling there for what seems like a lifetime. He is just one of the Monsters waiting to strike in Munchkin Dungeon. Munchkin Dungeon is coming to Kickstarter on January 29 at 3PM EST. In the tunnels of Munchkin Dungeon, there is something more challenging than Roaming Monsters. The Bosses stand between the Heroes and true adventurer fame! 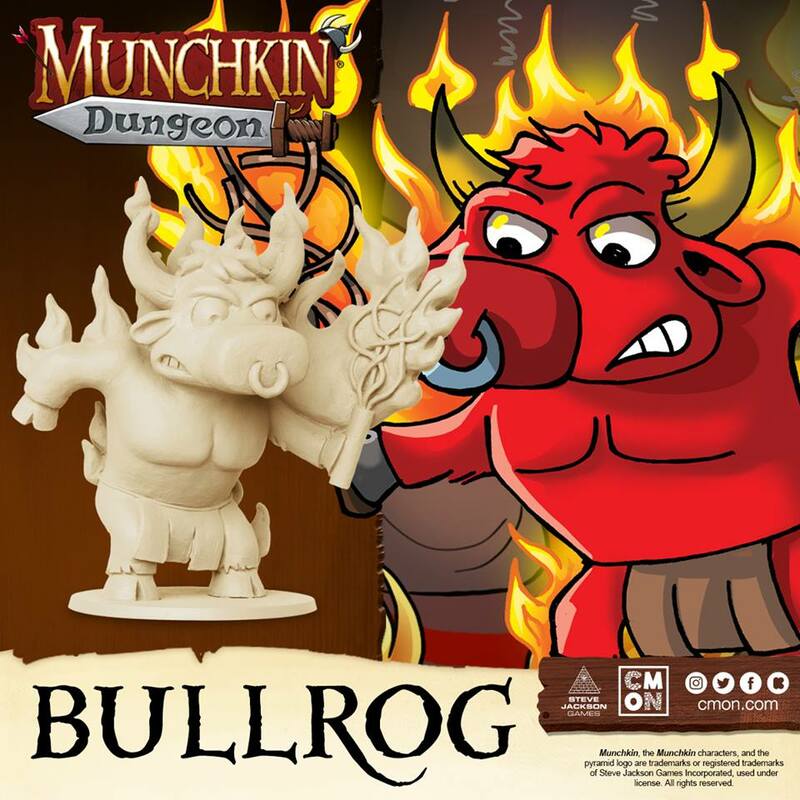 Today, we get our first look at the Bullrog! 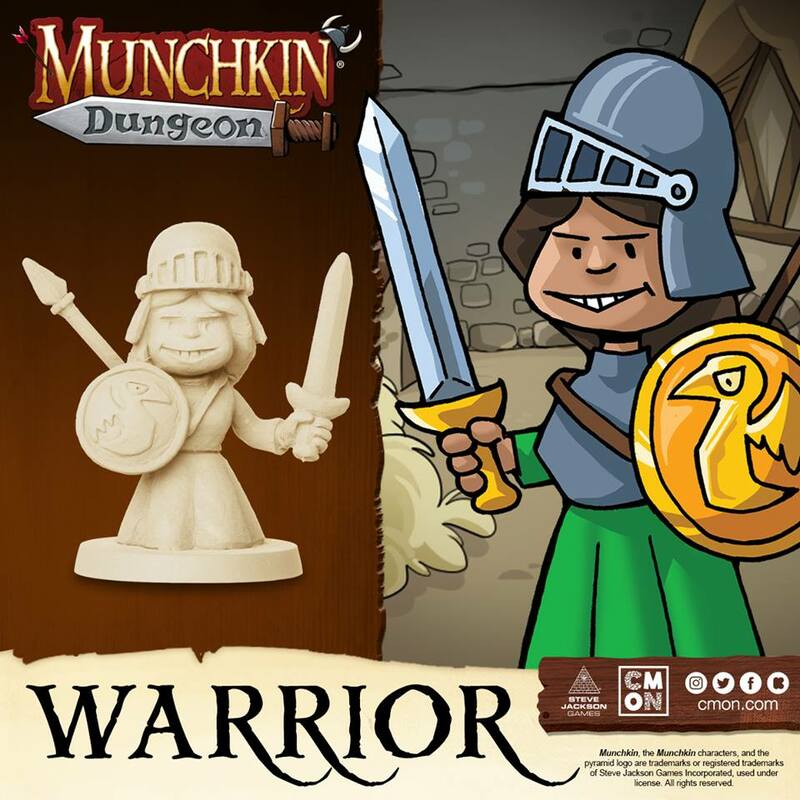 Munchkin Dungeon is coming to Kickstarter on January 29 at 3PM EST. The Warrior is never one to shy away from a fight, and it’s a good thing, because in the Dungeon, she’ll get her fair share! Munchkin Dungeon is coming to Kickstarter on January 29 at 3PM EST. The Heroes are going to have to deal with a major rodent problem when they enter the Dungeon. 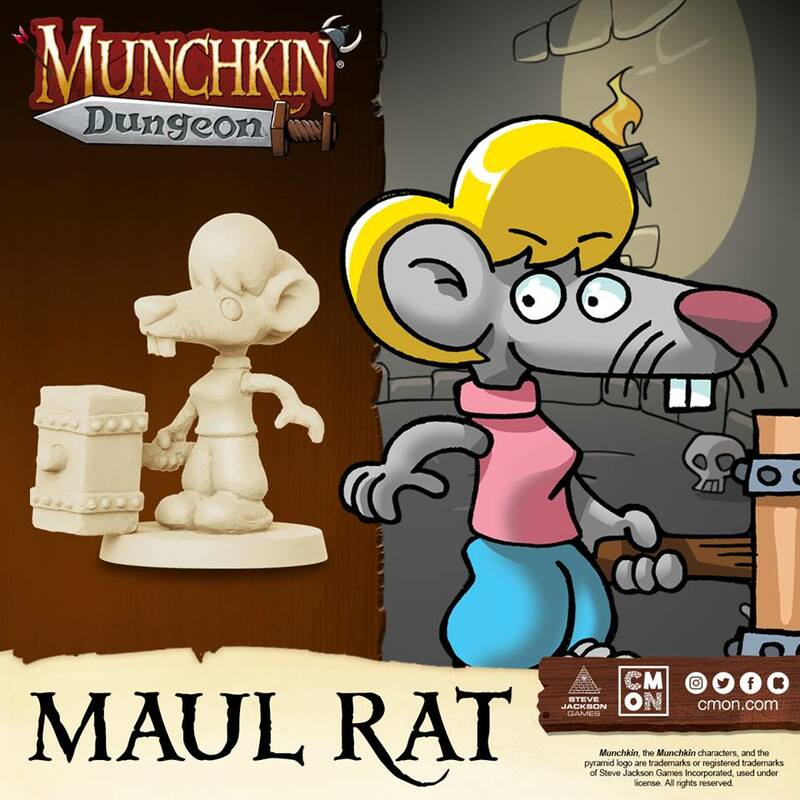 The Maul Rat is looking to smash some heads if they go down the wrong tunnel. Munchkin Dungeon is coming to Kickstarter on January 29 at 3PM EST. The Cleric is going to have to rely on a little help from a higher power if they want to escape the Dungeon unscathed! Munchkin Dungeon is coming to Kickstarter on January 29 at 3PM EST. 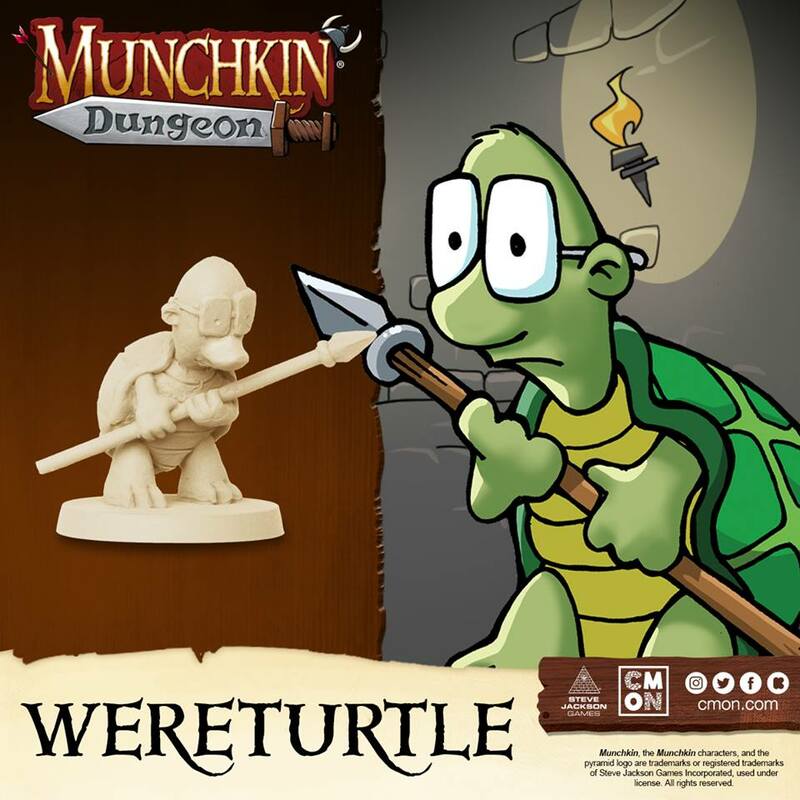 Sometimes speed is the best weapon for a Hero, especially when they’re faced with slow moving Monsters like the Wereturtle. 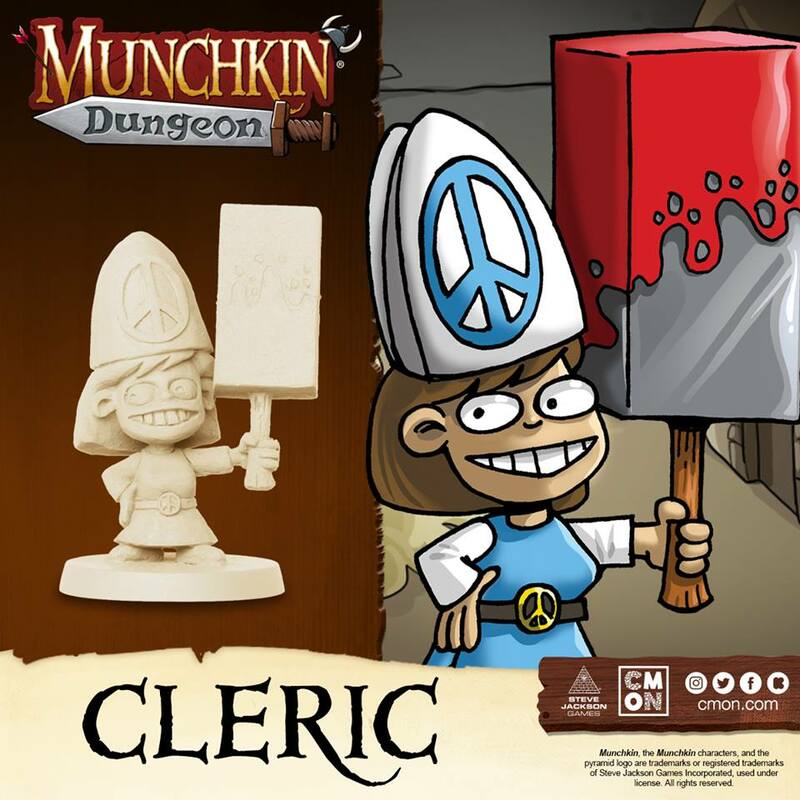 Munchkin Dungeon is coming to Kickstarter on January 29 at 3PM EST. Man bin ich froh, mal wieder seit sehr langer Zeit ein Kickstarter der misch absolut nicht interessiert. Thema ist cool, aber ob es eine Starke Zielgruppe gibt, die außer dem Kartenspiel noch ein Brettspiel brauchen muss sich zeigen. Mich interessiert es vor dem Hintergrund, dass ich sehr gespannt bin, wie viele Minis CMON dazu raushauen wird (Monsterkarten gibt es ja genug). Besonders detailiert sind die ja nicht (was wohl der Vorlage geschuldet ist). aber das läuft sehr gut. da reichen mir die Karten. Hauptsache cmon haut wieder eine neue Lizenz über Kickstarter raus. Naja, finanziell müssen sie aktuell zurückrudern und haben erste Probleme.